The G4GC engine is the biggest engine of the Beta II series. Its predecessor is the G4GF produced since 1997. But the two-liter G4GC engine is entirely new. The G4GC engine has many redesigned and entirely new parts. The engine has the cast iron cylinder block, the new crankshaft with eight counterweights, stronger connecting rods, and reshaped pistons. The engine has DOHC 16-valve aluminum cylinder head. The intake camshaft is equipped with variable valve timing system CVVT. There are no hydraulic lifters in this engine. You need to adjust valve gaps every 60,000 miles (100,000 km). Don't worry if you will hear some knocking noises; maybe it is a big valve gap. Also, the engine valvetrain uses the timing belt (keep an eye on its condition). 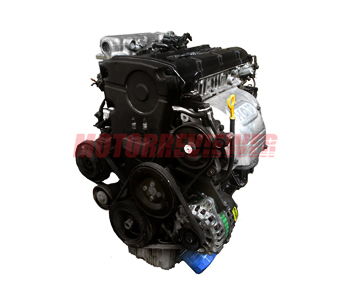 The Beta series engine was replaced by new and more powerful engines from Theta series. The G4GC is not an exception, and the 2.0-liter G4KD is the current power unit for Hyundai and KIA models since 2005. 1. The G4GC is louder compared to previous Hyundai engines. The engine suffers from different vibrations and noises similar to diesel engines. That is the unique feature. 2. The engine shakes at idle rpm or kicks while accelerating and braking. This problem is fixed by replacing ignition coils, plugs, and wires. 3. Hanging revs. That is an electronic issue; ECU reload kills the symptoms. Longevity of the G4GC is quite impressive. It can be around 180,000 miles (300,000 km), and it is good for a gasoline four-cylinder engine.